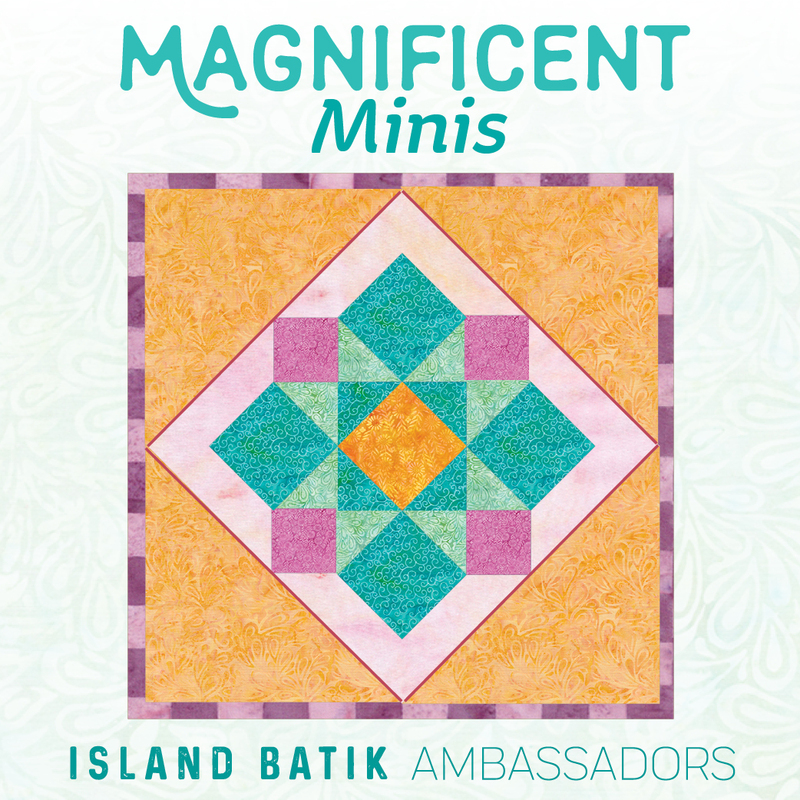 For February the Island Batik challenge is called Magnificent Minis. After some deliberation, I decided that I would do a field of wonky stars. Then I looked at the fabrics I was given to work with and decided to make it a little more interesting by dividing the field into four colors. Of course, I didn't want to do it as four squares, so I thought a while longer and decided that I could divide the square in two diagonals. Making one diagonal - that was an easy thing to do. But on the other, it took some planning and careful fabric choices. Here is one of the photos I took of this mini quilt. In case you are wondering this little quilt is 22 1/2 inches square. Each star block is 3" finished - so each star point section is started with a 1 1/2" square and finished at 1" - that is possibly the smallest piecing I have ever done. 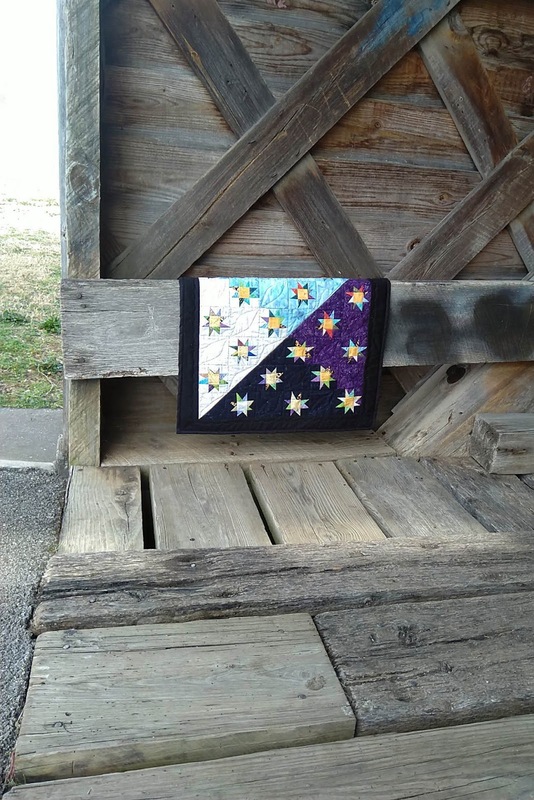 But since we had a sunny warm day, I decided to go on a photo "safari" with the mini quilt of stars. 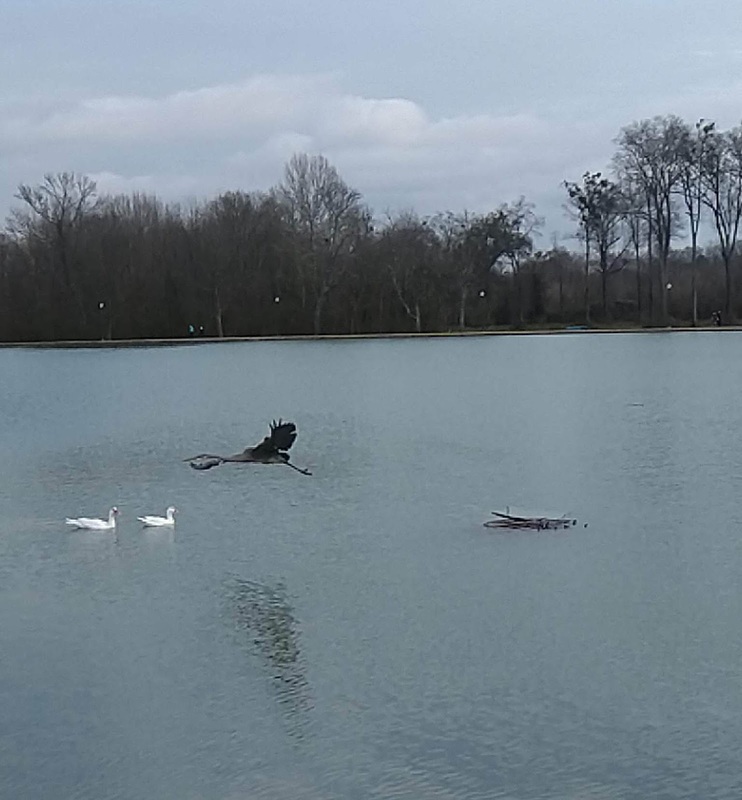 My location of choice was a local park that has a lake. There is also an old covered bridge there. 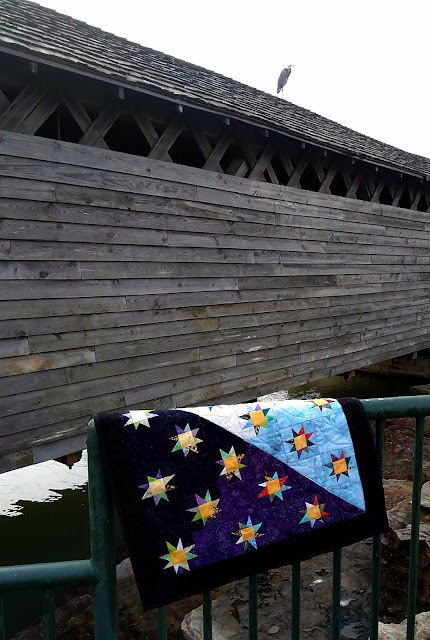 So I put the quilt against the wall just inside the bridge, hanging it over one of the boards. Wow, I love how that shot came out. But there are more photos. I stepped to the back of the bridge and put the quilt on one of the guard rails. Before I could take the photo, a visitor landed on top of the bridge, so I included this photo-bomber. Do you see that lovely gray heron? I tried to get a photo of the heron sitting on a small ?rock? in the lake but he flew as I snapped the photo. There is also a nice spraying fountain in the lake. I think it made a nice backdrop also. And a couple more shots taken in a friend's yard. The fabrics are all Island Batiks. The batting is Hobbs 80/20 Heirloom. The thread is Aurifil for both piecing and quilting. Of course I am required to tell you that I was provided the fabrics and the batting for making this quilt by Island Batik and Hobbs Batting at no charge to me. I also used Aurifil thread in the construction and quilting, but that thread was already in my stash. 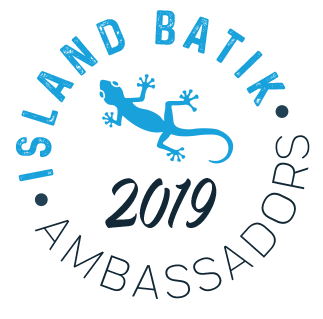 I would like to thank Island Batik, Hobbs Batting, Aurifil Thread and Accuquilt for being sponsors of the 2019 Island Batik Ambassador program. Throughout the month, the Ambassadors will be sharing Magnificent Mini quilts. 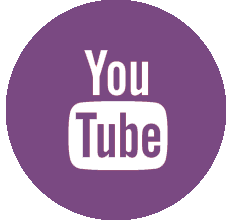 Here is a list of other Ambassadors with links to websites for each. Enjoy the journey with us. Comments are welcomed. I will reply when possible. Of course if you are a "No Reply Blogger"- I can not reply. Links in comments will result in the entire comment being deleted. This little quilt is SO wonderful! It fits into any decor, even outdoor scenarios as you made very clear, and it lends its rainbow of color wherever most evident. Of your photos, I love the covered bridge inside photo the most. It’s a perfect study in opposites, and it shows the quilt color off in all its glory. I will be going back to the Ambassador links soon to see what others have created. Thank you for those, it will be great fun! Applause, Gene! Most excellent photo shoot.....even a mini deserves the best. All those photos are great. As for the mini project...double wows! You excellent design skill came roaring to the front on this one. A different style setting really made all those precious stars explode. Excellent job. Beautiful and the photos are fabulous. Intriguing and interesting. You nailed it all the way around. What more can one say except it's lovely! Love your mini. Great safari too! 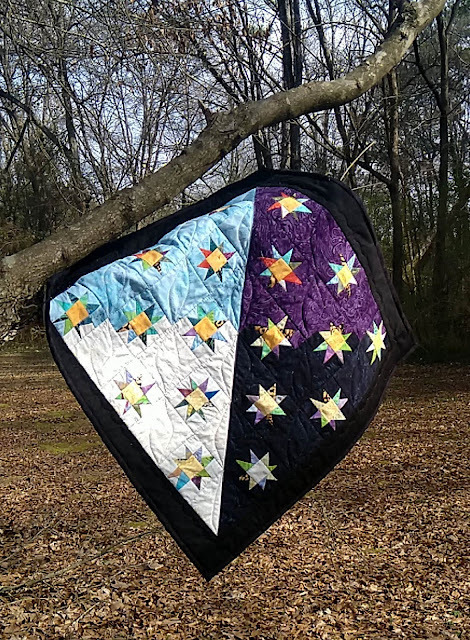 Great mini, gotta love a star quilt. You found some great spots to snap the photos. 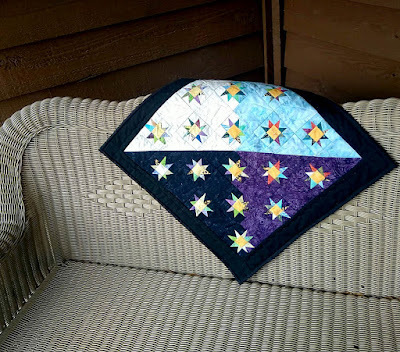 This is a great quilt - I really like the background colors you chose - using the four colors is an inspiring choice! Great photo shoot too. Interesting, never saw one with different backgrounds. 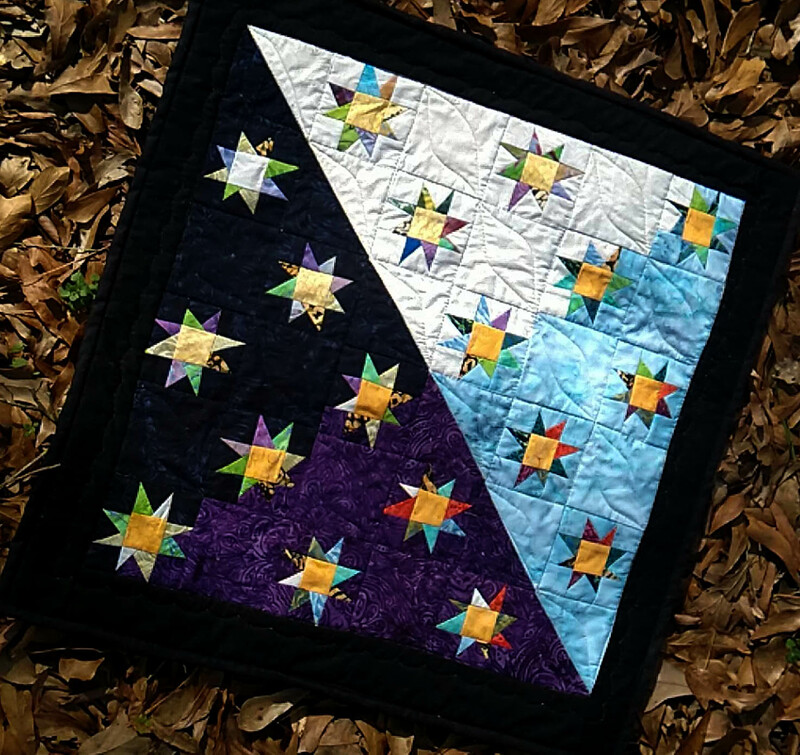 Batiks work so nicely in mini quilts because there is less bulk and hardly any raveling. Your mini is spectacular! I LOVE your little quilt. Great photoes too. And I'm so looking forward to seeing what more you can make from these beautiful fabrics. Love your mini so much Gene. And the shots of it, especially in the bridge and in front of the fountain. The bridge photo is fascinating as well as beautiful, the scale of the quilt is really hard to fathom in that shot - it's a bit of a head-messer. Great job, you are clearly going to have a great year! Love it! The mini is terrific and those points are sure small. You did a great job - congratulations. Love the heron pic - we saw one yesterday on the river near our apartment - they are beauties. Beautiful work Ambassador Black. I can see you will be an excellent spokesperson. I love the shading across this quilt and your beautiful photographs. Awesome job and great photos. Looking forward to all your projects. Your mini quilt is beautiful. I love the colors and, oh so tiny stars. That park was the perfect location for a photo shoot. You saw and photographed some interesting things. 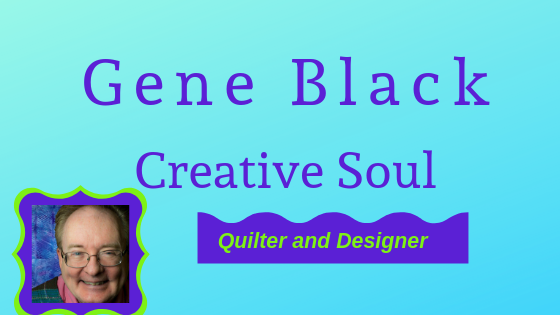 You certainly are a prolifict quilter and have an excellent eye for color and balance. And I love mini's because they can be quick but also a challenge handling the itsy bitsy pieces. I have to confess that everything I see "Aurifil" my skin crawls because of the way their spokesman treats women. What a great quilt! Great photos, too. 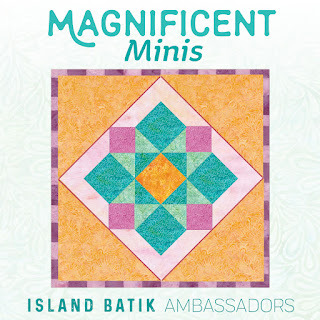 Congratulations on the success of the first of many stunning creations made for your Island Batik Ambassador challenges. Wishing you a wonderful year! Love your mini stars !! Great colours on those diagonals, really set off the stars! I love this post with those fantastic pictures of the sweetest mini quilt. You really rocked this challenge! 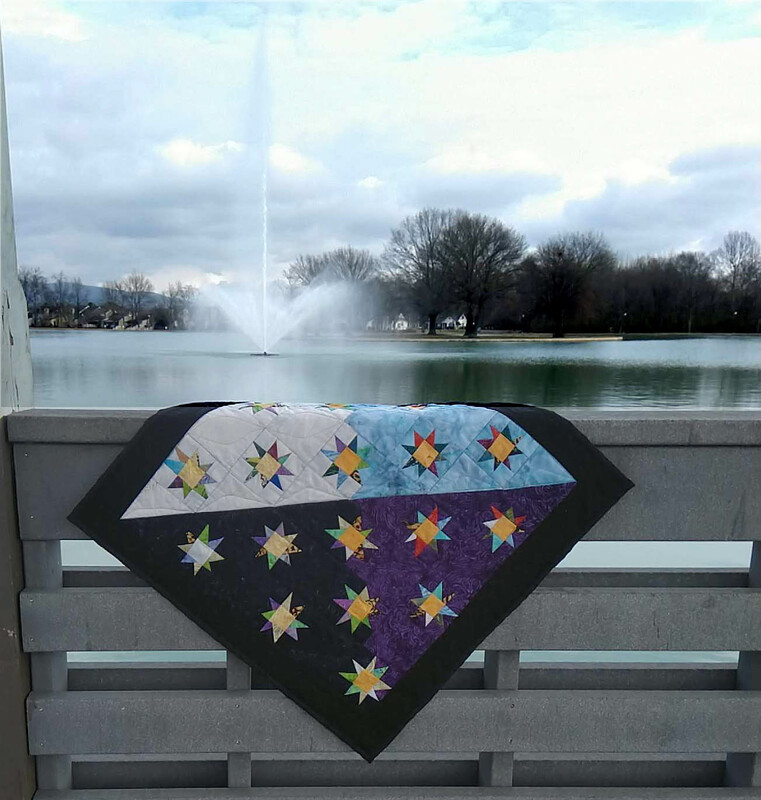 Gene, I love the photo session you did with your sparkly star quilt. It looks beautiful.